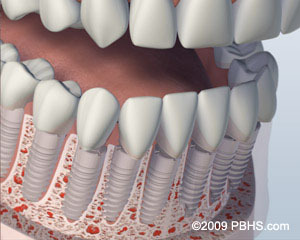 If all of your teeth are missing in the upper or lower jaw, dental implants are the best solution. 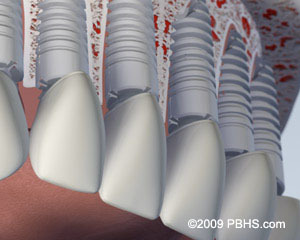 You can choose a full bridge that is attached to several dental implants. 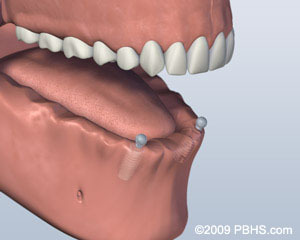 Another option is a removable prosthesis that is attached via anchoring devices to two or more dental implants. 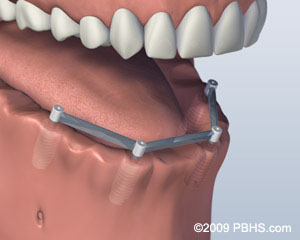 The prosthesis remains securely in place in your mouth – yet it is easy to remove. 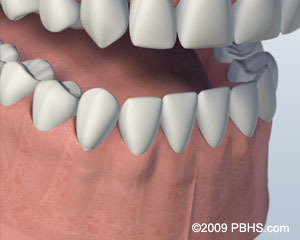 If you have lost all of your teeth in one or both of jaws and require the most natural looking solution, the permanently anchored dental implant bridge on several dental implants is the answer when the prerequisites are met. The dental implant bridge is now in place. It looks and functions like normal teeth. You can now eat whatever you like and laugh without having to worry about the prosthesis falling out. 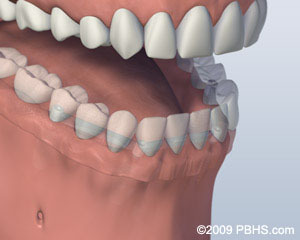 If you have lost all of your teeth in one or both jaws and require a removable prosthesis that remains in place more firmly than a conventional removable prosthesis, the overdenture connected to two or more implants is the answer when the prerequisites are met. 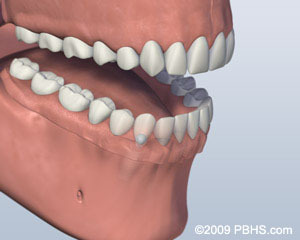 For the overdenture, either ball abutments or a small bar between the abutments are used. The prosthesis is fitted with corresponding devices underneath. 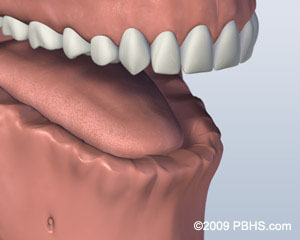 The overdenture is now in place. 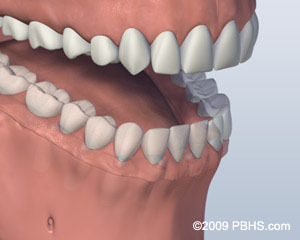 It looks and functions like normal teeth. You can now eat whatever you like and laugh without having to worry about the prosthesis falling out. What is the All-on-4® treatment concept? All-On-4 TM is a revolutionary concept in oral rehabilitation with dental implants for people who have lost all their teeth or those who require multiple teeth removal due to severe disease with the placement of as few as four dental implants. 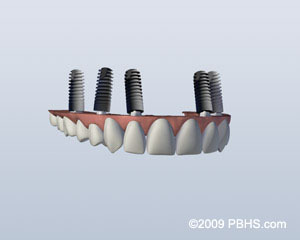 Implants act as a base for the placement of a fixed set of natural looking restorations. Teeth are fixed permanently on four implants, making All-on-4™ affordable, stable, and reliable solution for patients with missing teeth. The All-on-4® treatment concept is a cost-efficient, graftless solution that provides patients with a fixed full-arch prosthesis on the day of surgery. BIOLASE is the world’s leading innovator in dental lasers. Laser technology is a way to regenerate healthy gums and remove diseases areas in a virtually painless way. No Referrals Necessary! 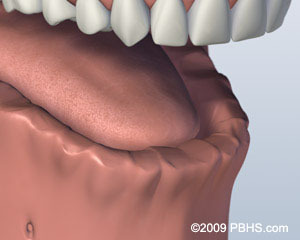 Most patients are referred to our specialty clinic by their general dentists; however, a referral is not required. Dr. Mehdi Noroozi, Canadian fellowship qualified and board-certified specialist in Periodontics, attained his Doctor of Dental Surgery degree from the University of Toronto, Canada. Dr. Zaeimdar is a Board Certified Specialist in Prosthetic Dentistry. No Referrals Necessary! Most patients are referred to our specialty clinic by their general dentists; however, a referral is not required. Simply contact us and make a consultation appointment with our certified specialists in Periodontics, Prosthodontics and dental implants.